Texas has innovative and effective Career and Technical Education programs. The Gulf Coast Area leads the State of Texas with cutting-edge classes and technology integration, pathways that lead to high-wage, highly-skilled occupations, and challenging courses that earn both high school and college credit. Whether it be a future in finance, engineering, culinary arts, digital design, process technology, skilled trades or a vast number of other opportunities, we are here to help our students discover their talent, fuel their passion and provide them a key to their future success. 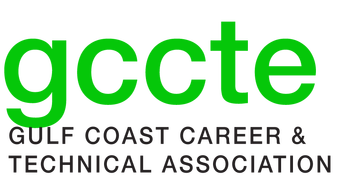 JOIN Gulf Coast CTE and CTAT to Expand Your CTE Network.